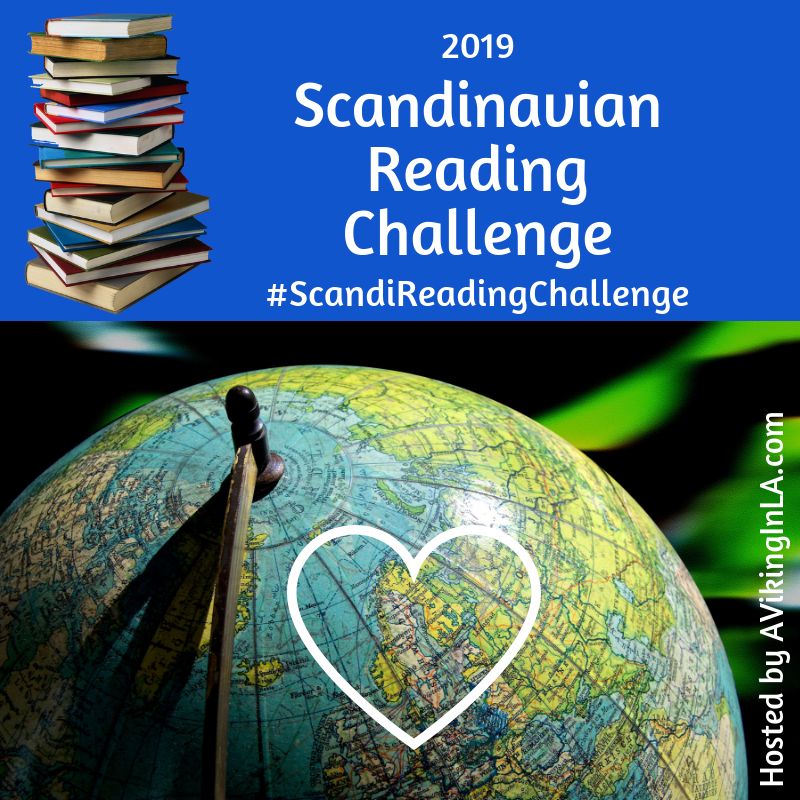 The 2019 Scandinavian Reading Challenge is underway! Today I’m sharing books I’m thinking of reading for each of the prompts in the challenge. If you would still like to join, it’s not too late. It won’t be too late until the year is over. Just visit 2019 Scandinavian Reading Challenge and let me know in the comments there. Do you need more ideas of books to read? Ask in the comments or send me an email and I’ll see what I can suggest. I’ve read many that would be good options. Disclaimer: AVikingInLA.com is a participant in the Amazon Services LLC Associates Program, an affiliate advertising program designed to provide a means for sites to earn advertising fees by advertising and linking to amazon.com. Any and all click-thrus are much appreciated as they help bring revenue to keep this site going. Thank you! This one I’ll probably decide later in the year when I see what I’ve already read and what I still want to read, but I’m considering a crime novel by a female author, another book about Scandinavia during WWII, or an immigrant story. If you’re participating in the challenge, I’d love to read in the comments what books you’re considering to read. And if you have suggestions for me, I’d love to hear those, too! This entry was posted in Books & Reading and tagged #booksintranslation, #ScandiReadingChallenge, #womenintranslation, crime fiction, Nordic Council Lit Prize, Nordic Noir by Patricia Zanuck. Bookmark the permalink. I read There’s No Such Thing as Bad Weather just a couple months ago and loved it! I found it a bit life-changing, to be honest–I hadn’t realized how little outdoors time my kids got during certain parts of the year until I read this and realized that I had fallen into the exact same trap so many parents in the U.S. fall into (thinking that we shouldn’t send our kids out in certain kinds of weather, no matter what). I’ll be curious to read your thoughts if you end up picking it! I have that book on my bookshelf. Another reader of the blog read it and loved it, too. I’m almost afraid to read it now that my kids are tween and teen! Did I miss my window of opportunity with them?